Choose the versatile, cost-effective Thermo Scientific NanoDrop 3300 Fluorospectrometer for broad spectrum fluorescence analysis. 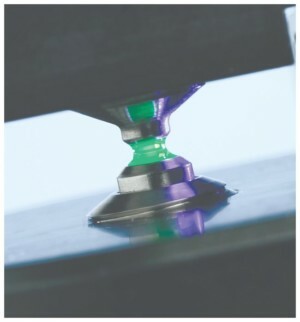 Using a patented technology, it uses as little as 1 μL of sample volume. 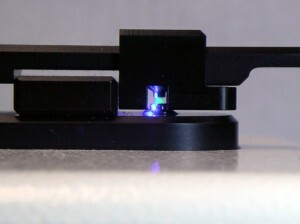 The NanoDrop 3300 brings the sensitivity and selectivity of fluorescence spectroscopy to microvolume samples. Using our patented sample-retention system, the NanoDrop 3300 performs broad spectrum fluorescent analysis in a versatile, high-performance instrument. The NanoDrop 3300 significantly lowers the mass detection limit more than an order of magnitude, compared to conventional fluorometers. 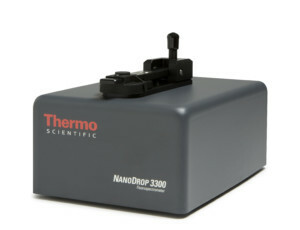 With its advanced features and analysis options, the NanoDrop 3300 allows for a diverse range of measurements from routine RiboGreen, PicoGreen, and GFP to advanced nanoparticle and FRET analysis. No external power supply is required; all operating power is supplied by the USB port on the PC. 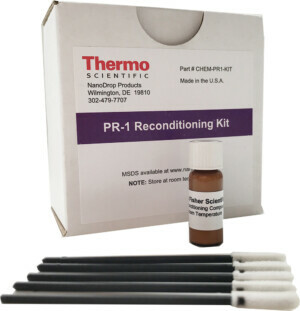 Thermo Scientific™ NanoDrop PR-1 Reconditioning Kit is used for reconditioning the sample measurement pedestals to a hydrophobic state if they become unconditioned.